In a Nutshell: The American job market is the strongest it’s been in nearly five decades, with unemployment rates dipping toward 4% and more than 6 million available jobs in the country. Monthly employment forecasts released in a joint partnership between Automatic Data Processing (ADP) and Moody’s Analytics show the job market remaining on its current pace well into 2019. 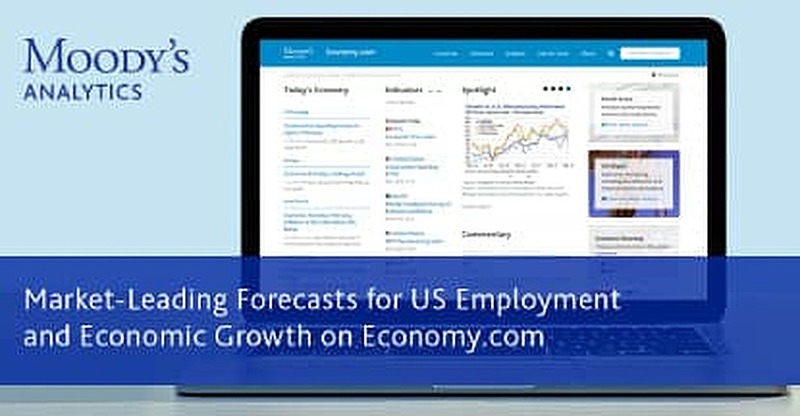 Moody’s Analytics, a world leader in macroeconomic data forecasting, publishes dozens of monthly reports on its website, Economy.com, that examine the economies of more than 50 countries. Some of the world’s most respected economists compile reports that provide forecasts of world economic data as much as 30 years into the future across some 300 economic metrics. Every month, Wall Street investors turn to the US Labor Department’s nonfarm payrolls count to gain a stronger understanding of the country’s economic and labor health. Preceding the report each month is the National Employment Report, published in partnership with Automatic Data Processing (ADP) and Moody’s Analytics. The ADP/Moody’s Analytics report moves markets based on its historical accuracy in forecasting monthly employment numbers. A team of world-class Moody’s Analytics economists studies thousands of intricate data points to accurately gauge the US job market and complete each report. The economists become versed on everything from snow to stock markets by the time Moody’s Analytics’ site, Economy.com, publishes the reports. Sweet, a member of the US macroeconomics team at Moody’s Analytics, is on MarketWatch and Bloomberg’s lists of the most accurate high-frequency forecasters of the US economy. 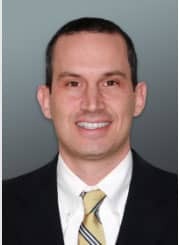 He focuses on the monthly forecasts of employment, as well as other high-frequency economic indicators, while the remainder of the team completes forecasts that stretch as far as 30 years into the future. Sweet factors in numerous variables into his employment forecasts, including the unusual US winter weather of 2018, to compile his report. The US Bureau of Labor Statistics (BLS) tabulates the official employment totals each month from numbers gathered during a predetermined payroll reference week. The official and forecasted numbers could both become skewed if weather impacts that week. Weather, as well as swings in the stock market, economic volatility, and confidence in the business market regularly impact employment numbers, but Sweet said a different factor is most important when forecasting employment data. Tariffs and tax cuts, two things that have dominated the 2018 economic landscape, seem destined to pull the country’s job market in opposing directions. While many experts feel President Trump’s issuance of tariffs on steel and aluminum is a form of posturing to renegotiate current foreign trade deals, Sweet said the policy could have different ramifications if the strategy is not successful. Ryan Sweet is Director of Real Time Economics and Head of Monetary Policy Research at Moody’s Analytics. Sweet said that domestic steel and aluminum manufacturers will likely see a benefit and boost in production from the potential tariffs, which could lead to the addition of new workers and manufacturing plants around the country. But he stressed that any disruption in the US supply chain can have a significant spillover effect. Employment gains made via the government’s personal and corporate tax cuts should absorb those job losses. Sweet said the tax breaks should have a net benefit for the country that will last well into next year. The Job Openings and Labor Turnover Summary (JOLTS) reported in March 2018 that more than 6 million jobs were vacant in the US, a record number for the data that goes back to December 2000. The number shows that, as the economy strengthens, employers are willing to take on more payroll to meet demands as opposed to finding new ways to drive productivity within their current staff. Most human resource offices are no longer overwhelmed as they once were with the number of submitted résumés for posted positions. These businesses now must resort to new tactics, including online searches and college campus promotional campaigns, to find the right employees for their company. For now, Sweet says he doesn’t see a labor shortage in the US, but that could change in the coming years if more workers don’t reenter the workforce. Some workers are still sitting on the sidelines, waiting for the right financial opportunity to reenter the labor market. Most unemployed workers point to the lack of wage growth that often coincides with an improvement in unemployment rates as their reason for waiting out the job market. While the lack of wage growth puzzles most economists, Sweet said several factors could explain why workers aren’t seeing increases in their paychecks. Despite sluggish productivity numbers and a weak US dollar, signs of a strong job market and low unemployment have led to recent stock market drops over fears that economic growth is too strong. That notwithstanding, a record-setting bull market has Wall Street investors setting their sights on the Dow Jones Industrial Average passing 28,000 sometime in 2018. Meanwhile, Sweet and his team continue to focus on the economic data that spots trends and highlights strengths and weaknesses in the underlying economy. That’s what Moody’s Analytics has become known for and what drives subscribers to Economy.com every month in search of market-leading economic forecasts.